It’s almost inevitable that I’d end up writing something like Genrenauts. Starting my career with the Ree Reyes books, where fandom and love of SF/F culture is its own magic system, making the jump from that to a more general series about genre and storytelling was a natural extension. Genrenauts is a more general idea, letting me apply my love of self-aware genre-mashing to a broader canvas. 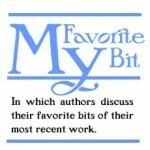 Genrenauts started the same way as many of my projects – with a question I asked myself: What if you threw a genre-aware character directly into the world of a story? That seed of an idea quickly grew as I added in influences and fleshed out the idea so that it was something new, something specific, more than just a Frankenstein-pastiche of Planetary, Leverage, and The Last Action Hero. 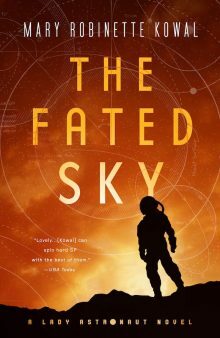 Now fully-developed, Genrenauts is a science fiction series in novellas, where a group of storytellers (the titular Genrenauts) travel between dimensions – each the home of a narrative genre, from Crime to Westerns to Romance and so on, where tale types play out again and again – to find and fix broken stories. If they don’t, those broken stories will ripple back to the Genrenauts’ home world and re-write reality to disastrous results. In The Shootout Solution, the first episode, the head of the Genrenauts recruits struggling stand-up comic Leah Tang to join the team as they try to fix a broken story in the Western world. And there, My Favorite Bit was getting to lampshade the heck out of the Western genre. The tropes and archetypes of Westerns are very well established, to the point that for many, they’ve gone past Archetype into Stereotype, become rigid and inflexible. There are new Westerns playing with the genre and creating new interpretations, and I hope The Shootout Solution will be one of them. 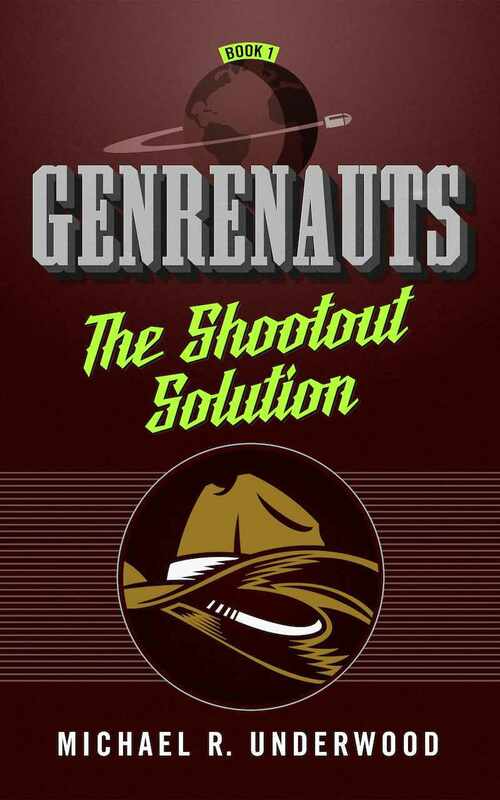 Early in Act Two of The Shootout Solution, Leah and the Genrenauts walk into a town straight out of a movie studio back-lot, with a saloon, a bank, and a half-dozen other stores. It’s a one-street town plagued by bandits, with saloon girls, a friendly but firm madam, and a chatty bartender. Leah marvels in the generic excess of the world, the energetic oddity of stepping into a situation where everything is in place, where you know exactly what to expect. Except she doesn’t. Because the story there is broken, and beyond that, even in the midst of the most stereotypical Western setting, there are elements reacting against stereotype. The characters we meet in this town aren’t all who they appear to be, and much of the story focuses on what it takes to be a hero in the Western genre, and who gets to put on the gun belt and rise to the occasion. I’ll leave it there to avoid spoilers, but rest assured that The Shootout Solution doesn’t just present Western stereotypes to celebrate them, doesn’t leave questions unasked. And if there are some Blazing Saddles shout-outs and self-aware jokes about the Western genre along the way? Even better. My Favorite Bit in Genrenauts is getting to re-examine the ways that genre sets expectations and frames stories, to poke fun but also send out some love for the stories which brought me to where I am today, telling stories about stories to a readership which has spent years surfing the waters of narrative. If you liked the Ree Reyes books (often narrated by our marvelous hostess herself), then I think you’ll like Genrenauts, as well, especially if you’ve ever wanted to jump into a story and push it toward your own version of a happily ever after. Michael R. Underwood is the author the several series: the comedic fantasy Ree Reyes series (GEEKOMANCY, CELEBROMANCY, ATTACK THE GEEK, HEXOMANCY), fantasy superhero novel SHIELD AND CROCUS, supernatural thriller THE YOUNGER GODS, and Genrenauts, a science fiction series in novellas. By day, he’s the North American Sales & Marketing Manager for Angry Robot Books. Mike lives in Baltimore with his wife and their ever-growing library. In his rapidly-vanishing free time, he plays video games, geeks out on TV, and makes pizzas from scratch. He is a co-host on the Hugo-nominated Skiffy and Fanty Show.